What is the importance of positive student teacher relationships? Student A arrives to class as the course begins, sits in the back of the lecture hall, completes their work, and leaves immediately after to get to their next obligation. They have a few questions about the material, but look it up in the textbook later. At the end of the semester, they aren’t exactly sure if they could pick their professor out of a crowd. Student B sits in the same place in the front of the room each day, makes a point of greeting their professor and asks questions about material they find unclear. They attend office hours and ask their professor about their professional life and how they got there. At the end of the course, they write an email thanking their professor for their guidance. Both students received a B+ in the course. 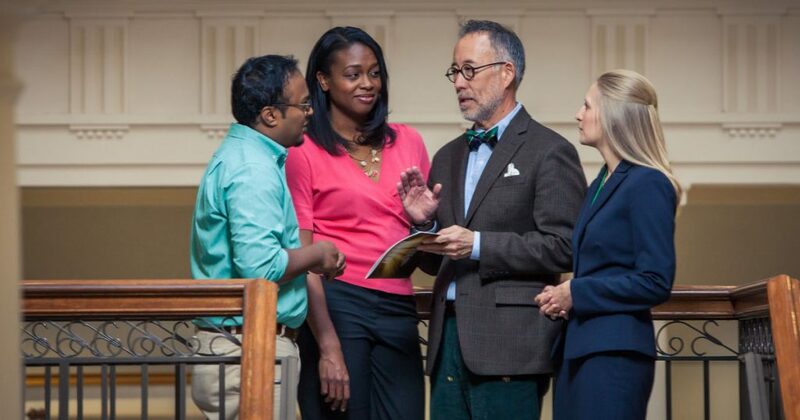 It may be easy to think that simply attending classes is enough, but there are benefits to knowing your professors and building positive relationships with them. Though Student A put in less effort but still received the same grade, Student B actually benefited more from their class. Getting to know your professors will make it easier to ask for help if it is needed. Open communication will benefit you if you need clarification regarding assignments or course material. Your professors WANT to help you understand what is being taught. They’re there to teach, and you are there to learn. It gives students a bit more accountability. Slacking off isn’t quite so easy when you know your professors and are building positive relationships with them. Many students find that when they know and like their professors, they are more invested in the class. Being able to get advice about your future career is a huge benefit. Your professors have already established themselves as an authority in their field. By having them as a mentor or sounding board, you’ll have access to invaluable advice and counsel as to how to reach your professional goals. Finally, knowing your professors can give you an advantage when it comes to letters of recommendation. Obviously, this is not the main point of building positive relationships, but which student mentioned above, A or B, would receive a glowing letter of recommendation if they decided to apply to grad school? If you want to continue your education after you complete your undergraduate degree, having positive relationships with your professors so they may bear witness to your good character and academic ability can help. So, how do you make a good impression and get to know your professors? * Introduce yourself on the first day of class. * Sit close to the front and show up on time. If you are an online student, stay on track with required reading and assignment details. * Participate in class conversations and discussions. * Attend office hours when possible. For online learners, reach out to your professors by email to arrange a time to connect. If you’re strictly an online student, don’t worry! You can still build healthy relationships with your professors. Much like you would in a traditional class setting, send an introductory email, participate in online discussion boards and email you professors with any questions or concerns during the semester. It may require a bit more effort, but it is still possible and worthwhile.